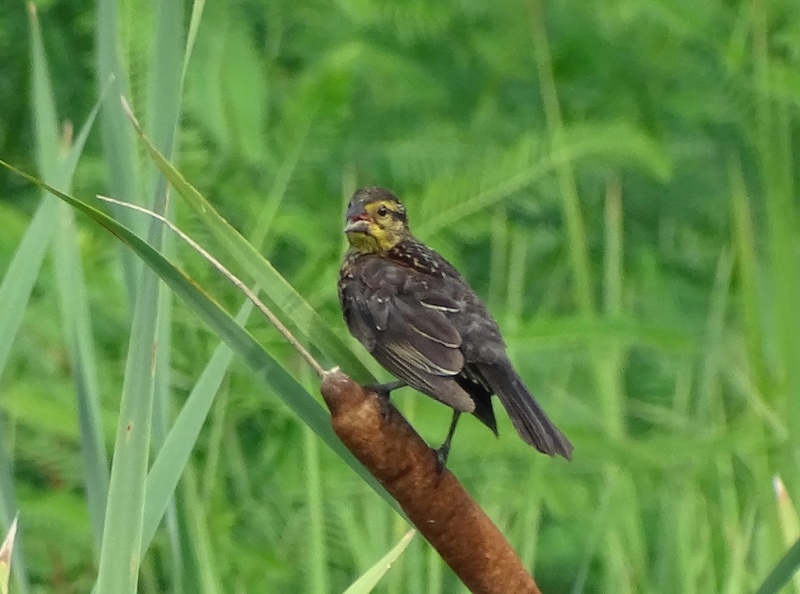 Recently, while driving down a road near the Mississippi River levee, I spotted this bird sitting among the cattails. 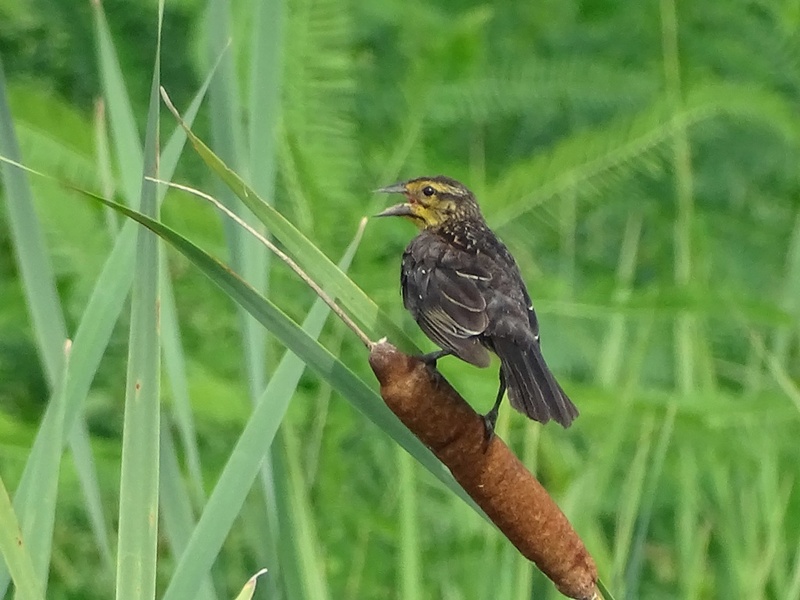 looks like a female Yellow-Headed Blackbird. nice spot! I wasn’t sure what kind of bird it was. I’ve only seen it in the marshes. Wow, great capture of this bird! Thanks so much also for following my writing blog. Thanks! It was one of those “take it quick before it flies away” shots. You have a real talent for writing and I’m looking forward to reading future posts.